“Now all things are of God, who has reconciled us to Himself through Jesus Christ, and has given us the ministry of reconciliation” (2 Corinthians 5:18). “He made Him who knew no sin to be sin for us, that we might become the righteousness of God in Him” (2 Corinthians 5:21). “…our light and transient troubles are achieving for us an everlasting glory whose weight is beyond description. We concentrate not on what is seen but on what is not seen, since things seen are temporary, but things not seen are eternal” (2 Corinthians 4:17-8 CJB). So having just spoken about the importance of balancing the challenges, afflictions, and difficulties of life with the glory of eternity, 2 Corinthians 5:1 marks a progressive transition to the subjects of life and death. Just as Paul sought to value his life experiences in terms of their eternal significance, he similarly viewed his physical existence in terms of what was temporal and what was eternal. We’ll take a closer look at the analogies that Paul used to communicate those differences next. “For we know that if the tent that is our earthly home is destroyed, we have a building from God, a house not made with hands, eternal in the heavens” (2 Corinthians 5:1 ESV). Although Paul the Apostle is primarily known to us as a teacher, an evangelist, and the human author of the Biblical books that bear his name, Acts 18:1-3 tells us he was a tentmaker by trade. 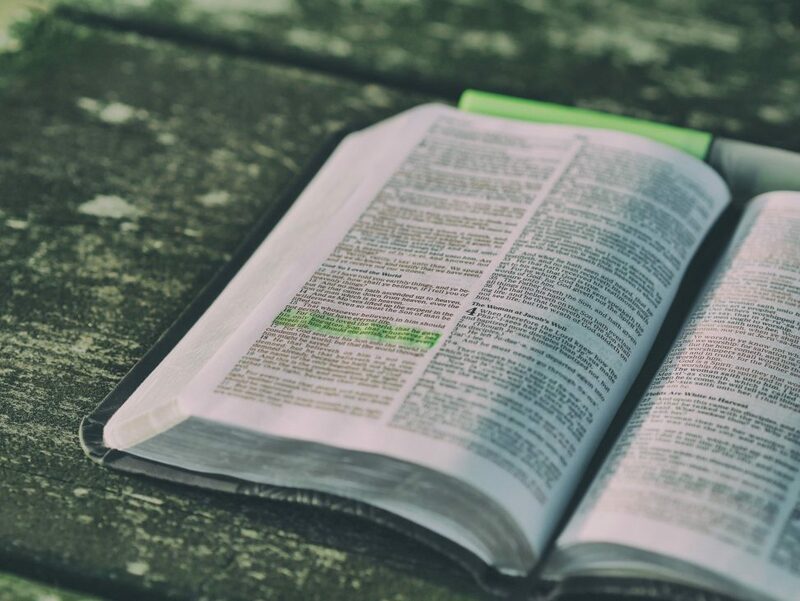 In fact, the Scriptures tell us that Paul often employed his professional skills to provide for his needs while pursuing God’s call to teach and evangelize. On the other hand, the image chosen to illustrate the concept of eternal life is a building or a house. Unlike a tent (or a jar made from clay, to borrow another of Paul’s illustrations), the idea of a building communicates the qualities of strength, permanence, structure, and endurance. Thus, the resurrected glorified body (represented by the image of a house in this analogy) will be suited for eternal life with the eternal Creator. (1) Coffman, James Burton. “Commentary on 2 Corinthians 5”. “Coffman Commentaries on the Old and New Testament”. <http://classic.studylight.org/com/bcc/view.cgi?book=2co&chapter=5&verse=1>. Abilene Christian University Press, Abilene, Texas, USA. 1983-1999. “For in this tent we groan, longing to put on our heavenly dwelling, if indeed by putting it on we may not be found naked. For while we are still in this tent, we groan, being burdened—not that we would be unclothed, but that we would be further clothed, so that what is mortal may be swallowed up by life” (2 Corinthians 5:2-4). Like any good communicator, Paul the Apostle sought to establish many different entry points into the collective understanding of his audience. To facilitate this, Paul made certain to vary the illustrations he used in order to communicate key spiritual truths. Having already made use of earthenware vessels (2 Corinthians 4:7) and tents (2 Corinthians 5:1) to illustrate the temporary nature of our physical lives, Paul next turned to clothing to express the future realities of eternal life with God. “This is my instruction, then, which I give you from God. Do not live any longer as the Gentiles live. For they live blindfold in a world of illusion, and cut off from the life of God through ignorance and insensitiveness. They have stifled their consciences and then surrendered themselves to sensuality, practising any form of impurity which lust can suggest. But you have learned nothing like that from Christ, if you have really heard his voice and understood the truth that he has taught you. No, what you learned was to fling off the dirty clothes of the old way of living, which were rotted through and through with lust’s illusions, and, with yourselves mentally and spiritually re-made, to put on the clean fresh clothes of the new life which was made by God’s design for righteousness and the holiness which is no illusion” (Phillips). Similar references to “putting on” various aspects of a God-honoring life can also be found in Romans 13:14, 1 Corinthians 15:53-54, and Galatians 3:27 while the idea of “putting off” inappropriate and ungodly conduct is referenced in Colossians 3:8-9. So just as we put on clothing that will be appropriate for the events of the day, so also will we discard our mortal clothing when we pass from this life and put on a glorified body that will be appropriate for eternal life with God. “Now He who has prepared us for this very thing is God, who also has given us the Spirit as a guarantee. So we are always confident, knowing that while we are at home in the body we are absent from the Lord. For we walk by faith, not by sight. We are confident, yes, well pleased rather to be absent from the body and to be present with the Lord. Therefore we make it our aim, whether present or absent, to be well pleasing to Him” (2 Corinthians 5:5-9). Paul the Apostle has already taken the time to discuss the resurrection body at length in his letters to the Corinthian church. The passage quoted above now provides us with an opportunity to explore the question of when we might acquire these glorified bodies. The traditional answer to this question involves a doctrine known as the intermediate state. This belief teaches that the soul (the “you” inside your body) and/or spirit (the eternal part of every human being) goes immediately into God’s presence when a Christian passes from this physical life. While there, he or she lives in perfect holiness and fellowship with Christ while awaiting the final resurrection of the body. Once this glorified physical body has been resurrected, he or she will then be united with it forever. Passages such as Luke 23:42-43, Ecclesiastes 12:7-8, Philippians 1:23, 1 Corinthians 15:22-23, and 1 Thessalonians 4:14-16 are often cited to support this idea. Others see the idea of a temporarily disembodied state as something that is difficult to reconcile with Paul’s earlier message from 2 Corinthians 5:4: “These earthly bodies make us groan and sigh, but we wouldn’t like to think of dying and having no bodies at all. We want to slip into our new bodies so that these dying bodies will, as it were, be swallowed up by everlasting life” (TLB). One way to address this concern is to remember that time is irrelevant in regard to the afterlife. Thus, God’s people will not need to wait for their resurrection bodies once they have entered the timeless “now” of eternity. Regardless of which view one holds regarding this question, its important to note that the focus of this passage is upon Jesus and our relationship with Him. There is no doubt that we will be ushered into the immediate presence of the Lord in some respect when we pass from this life. Therefore, we should be able to say along with Paul the Apostle, “…our aim is to please him always in everything we do, whether we are here in this body or away from this body and with him in heaven” (TLB). Its difficult to understand why others sometimes act in a destructive manner. Its hard to grasp why some choose to lie, cheat, or steal, even when there seems to be no compelling reason to do so. Its discomfiting to think there are many who feel free to act unethically, abuse their authority, or conduct themselves in a manner that seems designed to hurt others. While there might be any number of reasons to explain these behaviors, there is one overriding answer that can account for each of these choices: such people really don’t believe they will eventually have to stand before God to give an account for the choices and decisions they make now. For example, would it be reasonable to assume that those who engage in such behaviors would choose differently if they really believed that everyone will have to stand before a just and perfect Creator to account for their actions? In most instances, the answer to that question would probably be yes. You see, our view of the eternal influences the direction of our lives now. For instance, a God-honoring man or woman possesses two important incentives that govern his or her choices. The first incentive finds its origin in a love for God and a sincere desire to honor Him- or as 2 Corinthians 5:14 will later tell us, “…the love of Christ compels us.” The second incentive is rooted in the knowledge that we will eventually have to stand before God to give an account for our lives. On the other hand, a person who does not anticipate eternal life holds a viewpoint that shapes and influences the direction of his or her life as well. While many seem to possess a vague idea concerning the existence of a “higher intelligence” or supernatural being, those beliefs often have little real influence on their day-to-day choices and decisions. So while many accept the existence of “God,” the unfortunate truth is that many also choose to live as if He didn’t exist and conduct themselves accordingly. Nevertheless, the Scriptures tell us that everyone will eventually have to give an account to a Creator who sees not only sees our choices but the motivation behind them as well. We’ll consider the two different forms of that judgment over the next few studies. Its important to note that “…the dead, both small and great” will be assessed in this judicial process. This tells us that social prominence, world recognition, power, wealth, or status will have no influence upon this call to judgment. Conversely, the lack of such things will be irrelevant as well. You see, it will not matter who you were in this eternal court – its what you were that will be important then. “It is sobering to realize that Scripture represents the state of unbelievers after death as a fixed state. There is no second chance (Ecclesiastes 11:3; Luke 16:19-31; John 8:21,24; 2 Peter 2:4,9; Jude 7,13). The Scriptures also reveal that the condemnation of unbelievers is determined by actions done during mortal life (especially the action of rejecting Christ), and that no good deed(s) done during the intermediate state can alter or soften this condemnation in any way. “For we must all appear before the tribunal of Christ, so that each may be repaid for what he has done in the body, whether good or worthless” (2 Corinthians 5:10 HCSB). Unlike the “Great White Throne Judgment” of the unrighteous dead (as detailed in Revelation 20:11-15), the future judgment of God’s people will follow a very different protocol. Consider Jesus’ quote from Revelation 3:5: “He who overcomes shall be clothed in white garments, and I will not blot out his name from the Book of Life; but I will confess his name before My Father and before His angels” (see also John 6:37-39, John 10:27-28, Romans 8:33-39). Because of this we can say with certainty that the future judgment of God’s people will not involve the question of salvation, for Jesus addressed the sentence against humanity through His sacrificial death. Those who accept Jesus’ substitutionary atonement by faith are not only freed from sin’s death penalty but are restored to a right relationship with God through His sacrifice. However, 2 Corinthians 5:10 tells us that God’s people will be called to account for how they made use of the skills, talents, abilities, gifts, and opportunities He provided in this life. That assessment will take place before the “bema” (or judgment) seat of Christ, a phrase that was sure to evoke a familiar image in the minds of first-century readers. You see, the bema seat was an elevated platform where Roman authorities gathered to render judicial decisions and issue various proclamations. A legal representative of Rome would often ascend the steps to this platform to address an assembly, administer justice, or honor those who excelled in athletic competition. Paul the Apostle was familiar with this place of judgment for we are told in Acts 18:12.“…when Gallio was the deputy of Achaia, the Jews made insurrection with one accord against Paul, and brought him to the judgment seat” (KJV). Several Biblical passages serve to illustrate the exhaustive nature of this judicial review and we’ll consider a few of them next. “For we must all appear before the judgment seat of Christ; that every one may receive the things done in his body, according to that he hath done, whether it be good or bad” (2 Corinthians 5:10 HCSB). Unlike an attorney who seeks to argue the facts of a case before a human court, there will be no need for such deliberations before the judgment seat of Christ. At that time, it will not be necessary to establish motives, reconstruct events, or work to create a sense of reasonable doubt regarding the circumstances and events of our lives. All such things are already known to an all-knowing God, and this judgment will reflect an accurate appraisal of our motives and actions. “For God will bring every deed into judgment, including every hidden thing, whether it is good or evil” (Ecclesiastes 12:14 NIV). “You, then, why do you judge your brother? Or why do you look down on your brother? For we will all stand before God’s judgment seat” (Romans 14:10 NIV). “For there is nothing covered that will not be revealed, nor hidden that will not be known. Therefore whatever you have spoken in the dark will be heard in the light, and what you have spoken in the ear in inner rooms will be proclaimed on the housetops” (Luke 12:2-3). “For God is closely watching you, and he weighs carefully everything you do” (Proverbs 5:21 TLB). Of course, its easy to understand why some may be reluctant to examine their motives in advance of this judgment. Since our true intentions are often difficult to discern, it may take a great deal of effort to uncover the reasons behind our actions. There is also the possibility of discovering that our motives might be less noble and virtuous than we thought if we stopped to evaluate them. Nevertheless, the knowledge that God will judge such things should prompt us to prayerfully examine our motives now to avoid the potential for unpleasant surprises later. “For we must all appear before the judgment seat of Christ, so that each one may be paid back according to what he has done while in the body, whether good or evil” (2 Corinthians 5:10 NET). 2 Corinthians 5:10 reminds us that God’s people will eventually be called to account for the lives they have built upon the foundation of Christ. But as difficult as it may be to consider, this passage tells us that the elements used to build upon that foundation may ultimately prove to be worthless (HCSB), bad (NASB), or evil (CSB). So how can we explain this poor choice of building materials? Well, the answer may involve a question of value. You see, our world generally assigns the greatest value to the things we possess or accumulate in life. This may include tangible assets like financial wealth, physical attractiveness, or athletic ability, or intangible qualities like social acceptance, peer recognition, or personal prestige. But 2 Corinthians 5:10 suggests that one potentially overlooked measure of value involves the motives that exist behind the things we say and do. In large part, people are motivated by what they value most. A person who values God’s will above all else will likely be motivated to make choices that align with His character and standards. Those who hold other priorities will probably make different choices. A person who seeks to combine the two may pursue a compromise agenda that is undetectable to others but easily discerned by God. Unfortunately, these latter two value judgments may ultimately to lead to choices that are empty and meanigless in God’s sight. One effective means of exposing our true motives (for better or worse) involves a commitment to reading God’s Word on a daily basis. As we’re told in the New Testament book of Hebrews, “…the word of God is living and powerful, and sharper than any two-edged sword, piercing even to the division of soul and spirit, and of joints and marrow, and is a discerner of the thoughts and intents of the heart” (Hebrews 4:12). “For no other foundation can anyone lay than that which is laid, which is Jesus Christ. Now if anyone builds on this foundation with gold, silver, precious stones, wood, hay, straw, each one’s work will become clear; for the Day will declare it, because it will be revealed by fire; and the fire will test each one’s work, of what sort it is. “It is true that some preach Christ out of envy and rivalry, but others out of goodwill. The latter do so out of love, knowing that I am put here for the defense of the gospel. The former preach Christ out of selfish ambition, not sincerely, supposing that they can stir up trouble for me while I am in chains. But what does it matter? The important thing is that in every way, whether from false motives or true, Christ is preached. And because of this I rejoice. Yes, and I will continue to rejoice (Philippians 1:15-18 NIV). So it seems that Paul knew of some within the first-century church who were doing a good work with the wrong motive. From all outward appearances, these individuals seemed to be engaged in a God-honoring effort but their internal motivations were far less so. In this respect, their example recalls Jesus’ message to a group of others who possessed internal motives that failed to match their external actions: “…Isaiah was right when he prophesied about you hypocrites in Scripture: ‘These people honor me with their lips, but their hearts are far from me'” (Mark 7:6 GW). And when you pray, you shall not be like the hypocrites. For they love to pray standing in the synagogues and on the corners of the streets, that they may be seen by men. Assuredly, I say to you, they have their reward” (Matthew 6:1-2, 5). Of course, the knowledge that God will judge these internal motives may be unsettling but we’ll look at some ways to effectively prepare for this future evaluation next. “For all of us must appear before Christ, to be judged by him. We will each receive what we deserve, according to everything we have done, good or bad, in our bodily life” (2 Corinthians 5:10 GNB). Do we seek to honor ourselves or do we seek to honor God in the things we say and do? As we’re told in 1 Thessalonians 2:4, “…We didn’t speak to please people, but to please God who knows our motives” (CEV). Are there questionable motives hiding behind a veneer of spirituality? Do we seek to do the right thing in a given situation or do we generally seek to do the easy thing? Are we acting selfishly or unselfishly? Do we consider the needs of others or do we routinely prioritize our own needs? Are we doing good things as an outgrowth of our relationship with God or are we doing those things so others will see them and praise us for them? “There is a verse in Hebrews that tells us that, ‘without faith it is impossible to please God’ (Heb_11:6). Faith must be present in what we do, or whatever we do is not pleasing to him. Paul understands this, therefore he wants that moment before the judgment seat of Christ to be a moment of disclosure that will not be of shame to him, of facing things that he refused to face in life, but a moment of joy. The Lord will have the joy of showing him many things that he thought were failures that were really successes, and things that he did that no one heard anything about will be brought to light and vividly displayed before others. (1) Excerpted with permission from What’s There to Live For?, © 1979, 1995 by Ray Stedman Ministries. All rights reserved. Visit www.RayStedman.org for the complete library of Ray Stedman material. Please direct any questions to webmaster@RayStedman.org. “Therefore, because we know the fear of the Lord, we seek to persuade people. We are completely open before God, and I hope we are completely open to your consciences as well. We are not commending ourselves to you again, but giving you an opportunity to be proud of us, so that you may have a reply for those who take pride in the outward appearance rather than in the heart” (2 Corinthians 5:11-12 HCSB). You see, this transitional word alerts us to the fact that the author is about to summarize and apply the concepts he established within the preceding verses. In this instance, the knowledge that he would be held to account for his choices and decisions prompted the following response from Paul the Apostle: “We know what it means to fear the Lord, and so we try to persuade others” (GNB). We should note how Jesus separated the words “afraid” and “fear” within these verses: “…do not be afraid of those who kill the body…” but “…Fear Him who, after He has killed, has power to cast into hell…” This tells us that the word “fear” should be understood to refer to an attitude of reverence, honor, and respect when used in this context. (1) Radmacher, E. D., Allen, R. B., & House, H. W. (1999). Nelson’s new illustrated Bible commentary (p. 1500). Nashville: T. Nelson Publishers. “Knowing, therefore, the terror of the Lord, we persuade men; but we are well known to God, and I also trust are well known in your consciences. For we do not commend ourselves again to you, but give you opportunity to boast on our behalf, that you may have an answer for those who boast in appearance and not in heart” (2 Corinthians 5:11-12). Paul the Apostle had no desire to gloat over his ministerial accomplishments. However, he did have a strong interest in providing the Corinthians with the means to properly evaluate his ministry and respond to those who assessed him on the basis of style rather than substance. (1) To accomplish this, Paul returned to a recurring theme within this chapter: “What we are is plain to God…” (NIV). We can illustrate this idea by turning to a seemingly unconventional source: the Biblical book of Revelation. The book of Revelation is famous for its description of the final triumph of good over evil. But what may be less well-known are the seven messages from Jesus to various first century churches that appear in Revelation chapters two and three. While each of those messages are different, there is one phrase that is common among them: “I know your works” or “I know everything you have done” (CEV) (Revelation 2:2, 2:9, 2:13, 2:19, 3:1, 3:8, 3:15). There is an important connection between these apparently unrelated portions of Scripture. You see, its impossible to keep a secret from Someone who knows all things -and the realization that Jesus knows every private thought, every hidden motive, and everything we’ve ever done may be quite alarming. This can be especially true of those who have yet to have their sins forgiven by Him. On the other hand, let’s consider a scenario where someone made a God-honoring decision but failed to receive credit for it. Perhaps there was a time when no one seemed to care about the fact that he or she acted in a just and righteous manner. Or maybe there was a situation where he or she might have retaliated against another person but avoided doing so in recognition of Jesus’ teaching on that subject (see Luke 6:31-36). It may be easy to assume that no one is watching when we choose to do the right thing. It doesn’t take much effort to fall into the mistaken belief that no one really cares if we seek to follow a God-honoring course of action. But Someone is watching and Someone does care. No matter what the situation, Jesus knows everything we have done- and what we are is plain to God. (1) Asbury Bible Commentary. 1026. Grand Rapids: Zondervan, © 1992. “For if we are beside ourselves, it is for God; or if we are of sound mind, it is for you” (2 Corinthians 5:13). Then Agrippa said to Paul, ‘You almost persuade me to become a Christian.’ And Paul said, ‘I would to God that not only you, but also all who hear me today, might become both almost and altogether such as I am, except for these chains'” (Acts 26:24-29). Of course, Paul was not the only Christian to stand accused of insanity for even Jesus withstood a similar charge (see Mark 3:21). On the other hand, Paul’s commitment to minister to a group of people who often seemed to have little appreciation for him (like the Corinthians) may have led a casual observer to conclude that he was crazy. The problem was that a person who held that opinion was someone who didn’t have all the facts. You see, Paul’s commitment to ministry had its origin in God’s calling on his life. In a similar manner, others may question the wisdom of investing in a ministry that no seemingly right-minded person would ever undertake as we seek to fulfill God’s calling. However, a commitment to follow God’s clear direction is always the right choice no matter how foolish it may appear to others. “For Christ’s love compels us, since we have reached this conclusion: If One died for all, then all died. And He died for all so that those who live should no longer live for themselves, but for the One who died for them and was raised” (2 Corinthians 5:14-15 HCSB). These passages tell us that those who receive Christ essentially “die” with Him. In this sense, those who accept Jesus’ atoning, substitionary death consent to the end of a self-interested life in exchange for a Christ-oriented life. As Paul will later go on to say within this chapter, “Therefore, if anyone is in Christ, he is a new creation; old things have passed away, and look, new things have come” (2 Corinthians 5:17 HCSB). “How did Jesus die for all? In the sense that His death is able to save all who will come to Him and is a demonstration of God’s love to all; but not in the sense that all are saved because Jesus died (which is the false doctrine of universalism). However, it is probable that in this context Paul means ‘all the saved’ when he says all. “Therefore, from now on, we regard no one according to the flesh. Even though we have known Christ according to the flesh, yet now we know Him thus no longer” (2 Corinthians 5:16). Prior to his encounter with Christ on the road to Damascus, it appears that Paul the Apostle regarded Jesus as just another human being- a deceptive human being who spread dangerous ideas to be sure, but certainly nothing more. However, that changed when Paul met the risen Lord. That ultimately led to an important shift in his perspective: “We are careful not to judge people by what they seem to be, though we once judged Christ in that way” (CEV). “Always judge your neighbors fairly, neither favoring the poor nor showing deference to the rich” (Leviticus 19:15 NLT). “Do not judge according to appearance, but judge with righteous judgment” (John 7:24 NKJV). So even though Paul once made use of these external standards to inform his judgments and opinions of others, his relationship with Christ brought him to the realization that human value is not exclusively limited to those external qualities that others feel are good or desirable. Instead, the concept of human value is (or should be) based upon the idea of inherent human worth. Unlike the kind of standard that assigns value to others based on who they are or what they can do, the concept of inherent human worth is derived from an important Biblical principle: “(Jesus) is the atoning sacrifice for our sins, and not only for ours but also for the sins of the whole world” (1 John 2:2 NIV). In other words, human value is inherited from the God who considered every human in the world to be important enough to sacrifice the life of His Son. These examples represent a few of the things that are crucified to death with Christ whenever someone accepts Jesus’ substitionary death as payment for his or her sins. Nevertheless, we should recognize that the process of overcoming such behaviors may be progressive in nature. We use the word “sanctification” to describe that process, a term that refers to “the act or process by which people or things are cleansed and dedicated to God…” (1) As we prayerfully seek God’s help in overcoming inappropriate behaviors and thought patterns, we subsequently grow in holiness, or God-like character. Of course, it may be easy to become frustrated or depressed during this spiritual growth process, especially during those periods where it doesn’t seem as if we are making much progress. If we should ever slip back into those old behavioral patterns that characterized our lives before we met Jesus, the New Testament book of 1 John tells us how we should respond: “If we confess our sins, he is faithful and just and will forgive us our sins and purify us from all unrighteousness” (1 John 1:9 NIV). “We know that the person we used to be was crucified with him to put an end to sin in our bodies. Because of this we are no longer slaves to sin. The person who has died has been freed from sin” (Romans 6:6-7 GW). A person who is a new creation in Christ but struggles with the memories of past transgressions can find help in looking at the example of the person who authored the God-inspired passage quoted above- Paul the Apostle. Paul was someone who refused to allow the mistakes he made before he became a Christian to derail God’s plan for his life. “Even though I was once a blasphemer and a persecutor and a violent man, I was shown mercy because I acted in ignorance and unbelief. The grace of our Lord was poured out on me abundantly, along with the faith and love that are in Christ Jesus” (1 Timothy 1:13-14 NIV). The New Testament book of Acts provides us with a brief account of Paul’s early life and tells us how he “…tried to destroy the church; going from house to house, he dragged out the believers, both men and women, and threw them into jail” (Acts 8:3 GNB). Following his encounter with Jesus on the Damascus road and his subsequent conversion to Christianity, Paul could have allowed the guilt of those past experiences to prevent him from fulfilling the important work that God had given him to do. However, God also inspired Paul to record an important spiritual truth in his earlier letter to the Corinthian church when he said “For I am the least of the apostles, who am not worthy to be called an apostle, because I persecuted the church of God. But by the grace of God I am what I am, and His grace toward me was not in vain…” (1 Corinthians 15:9-10). Like Paul, God’s grace towards us is not in vain because any shameful deed we may have committed prior to our conversion has been put to death with Christ. Paul’s example shows us that we do not have to allow something from our past to prevent us from enjoying God’s best in the present- and 2 Corinthians 5:17 reminds us that we do not have to allow the mistakes, poor decisions, or shameful things from earlier in life to undermine God’s best for our future. “Now all things are of God, who has reconciled us to Himself through Jesus Christ, and has given us the ministry of reconciliation, that is, that God was in Christ reconciling the world to Himself, not imputing their trespasses to them, and has committed to us the word of reconciliation” (2 Corinthians 5:18-19). For some, the idea of “ministry” is something that takes place at a weekly church service, If any sort of ministry does take place outside the walls of a church building, it usually involves a spiritual leader who engages with others at a hospital, funeral service, or other such venue. Nevertheless, 2 Corinthians 5:18-19 encourages us to expand our thinking beyond the nominal use of the word “ministry.” You see, a minister is not just someone who stands behind a pulpit on Sunday morning, for every Christian serves as a minister of reconciliation. This “ministry of reconciliation” is associated with the restoration of two parties who had previously been at odds. When it comes to the relationship between God (party number one) and humanity (party number two), the need for reconciliation extends back to the very first members of the human race. When the first human couple made a conscious decision to disobey God, they severed the relationship they had previously enjoyed with Him. Things were no longer very good between the Creator and His creation and the effect of that decision has impacted every member of the human family since that time. “…Adam’s sin brought punishment to all, but Christ’s righteousness makes men right with God, so that they can live. Adam caused many to be sinners because he disobeyed God, and Christ caused many to be made acceptable to God because he obeyed” (Romans 5:18-19 TLB). This is the message of reconciliation that God’s people are privileged to minister to others. One commentator sums up the message behind these verses in the following manner..
(1) Lyons, George. “d. Responsibility and reconciliation (5:11-6:2)” In Asbury Bible Commentary. 1027. Grand Rapids: Zondervan, © 1992. In keeping with the ministry of reconciliation mentioned in verse nineteen, Paul the Apostle introduced a related concept here in 2 Corinthians 5:20: the idea of God’s people as ambassadors for Christ. An ambassador is someone who represents another person or nation, or someone who communicates a message on behalf of someone else. While most people are probably familiar with the idea of someone who serves as an international ambassador, the reality is that everyone functions in the role of an ambassador within his or her sphere of influence. In other words, our beliefs and actions serve to represent something to those with whom we interact. For instance, our circle of influence might include friends, co-workers, family members, business associates, online acquaintances, or others with whom we come into contact. That influence -however small- can influence and impact others in whatever way we choose. The question is, who (or what) do we represent to others? “All these new things are from God who brought us back to himself through what Christ Jesus did. God has given us the privilege of urging everyone to come into his favor and be reconciled to him. For God was in Christ, restoring the world to himself, no longer counting men’s sins against them but blotting them out. This is the wonderful message he has given us to tell others. We are Christ’s ambassadors…” (TLB). Contrary to those who view God as a cosmic dictator, the Scriptures tell us that God desires peace and reconciliation between Himself and humanity. In fact, God demonstrated the extent of His desire to establish a relationship of harmony and unity with His creation through Jesus’ death on the cross. The New Testament book of Romans lends further support to this idea when it says, “…since we have been justified through faith, we have peace with God through our Lord Jesus Christ” (Romans 5:1 NIV). A person who fulfills the role of an ambassador for Christ and carries the message of peace with God through Jesus’ sacrificial death not only enjoys the privilege of representing Him but also receives the following assurance from Christ Himself: “Blessed are the peacemakers: for they shall be called sons of God” (Matthew 5:6 ASV). “Paul asserts here that Jesus was ‘made to be sin.’ However, many other Scriptures insist that Jesus was ‘without sin’ (Heb. 4:15; cf. 1 Peter 3:18). But how could Jesus be without sin if He was made sin for us? (1) Sproul, R. C. (Ed.). (2015). The Reformation Study Bible: English Standard Version (2015 Edition) (p. 2057). Orlando, FL: Reformation Trust. (3) Geisler, N. L., & Howe, T. A. (1992). When critics ask : a popular handbook on Bible difficulties (pp. 470–472). Wheaton, Ill.: Victor Books.